Explore cities all over the world with TourRec! TourRec suggests unique and personalized tourist trips tailored to your travel interests. Wherever and whenever you want. Check out what you can do with TourRec! Receive enjoyable routes with the best locations for your next trip! Recommendations are adapted to your interests and context factors such as the weather! TourRec is a research project and completely free of charge! Tourist trips can be recommended for cities and areas all over the world! 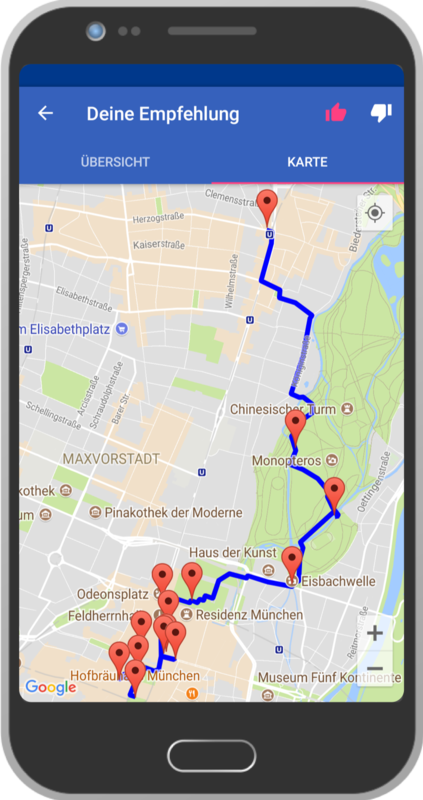 TourRec is developed and provided by a team of researchers and students at the Technical University of Munich (TUM). Our research focus are Recommender Systems and practical solutions to the Tourist Trip Design Problem. If you have any questions or if you are looking for a research cooperation, please do not hesitate to contact us.